Estonians have always been rather individualistic and that also applies to car ownership; one company now wants to change that. 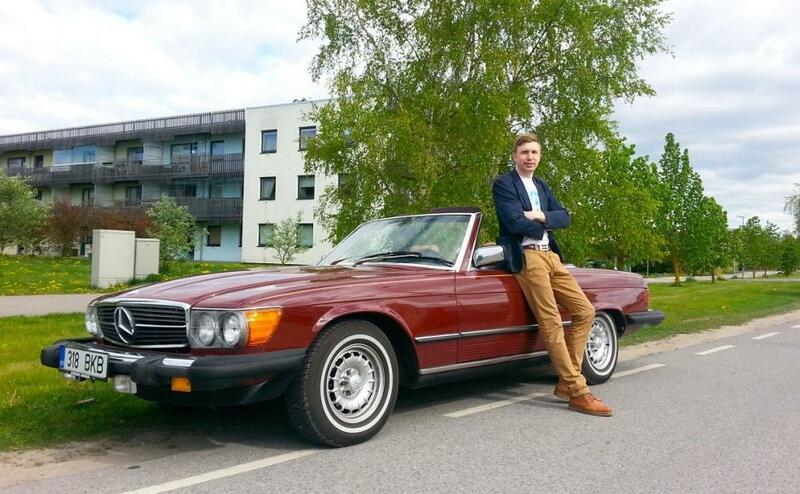 Tauri Kärson, an Estonian entrepreneur, founded the peer-to-peer car rental company, Autolevi, in 2012 after graduating from his studies in logistics and researching the habits of Estonian car owners. “One great example of how Autolevi works, is a car owner from Autolevi’s community, who rented out his car in Tartu for two weeks and found the experience very positive – he saved money on gas, earned extra revenue from renting the vehicle and rode a bicycle to work – thus ended up losing four kilograms (nine pounds) in the process,” he says. He argues that alongside the smarter use of money – people would otherwise invest in their cars – car sharing has a huge impact on our environment. “It takes around 35,000 tons of CO2 to produce an average car like Ford Mondeo (Ford Fusion in the US – editor). Instead of owning one, it can be so much more convenient if in need of a vehicle, you rent a car within 10 minutes of your home instead. They have done incredible research on this in the US, one of the findings being that just one single shared car takes 15 cars off our streets,” Kärson says. The founder says his main motivation comes from green thinking – after having studied logistics, he didn’t like the fact that there are so many resources staying idle that could be put to good use instead. He wrote his thesis on the same topic, studying the habits of car owners and gathering data on the average costs of owning a car in Estonia. A very high number, around 80 per cent of the car owners, said that someone else outside their close family circle had already borrowed and used their car in the past. He brings out other examples of micro-entrepreneurship, such as renting out a summer home or even peer-to-peer sharing of lawnmowers. “This should give people more sense of security as well as teaching them how to put their investments into good use. Many things amortise or lose their value fast – for example, a brand-new car loses 20 per cent of the value right after driving out of the car store. It’s not only wiser to buy a car that is used a couple of years, but also to think of clever ways how to get the money invested in your car back,” he says. Cover: Tauri Kärson, Autolevi’s founder, with one of the cars that is shared.